Set his heart racing by picking a beaded net top or gown in a colour that is closest to your skin tone. The strategically placed fine bead and threadwork will leave little to his imagination and you’ll be in for an exciting night. Price: Rs 2,200 approx. Buy it here. This is so cute! 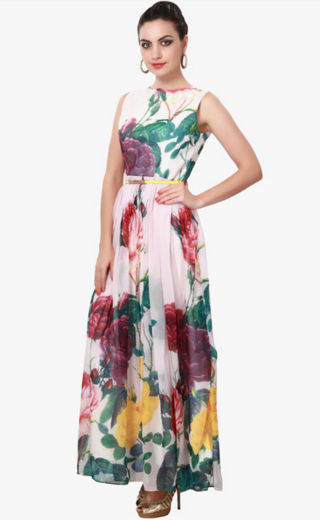 A maxi dress with massive flowers. You’ll feel like a princess throughout the day. This is dreamy and romantic. Pair it with a large straw hat and you’re done! Price: Rs 3,999. Buy it here. A honeymoon is not complete without a romantic candlelight dinner beneath a sky lit with stars. 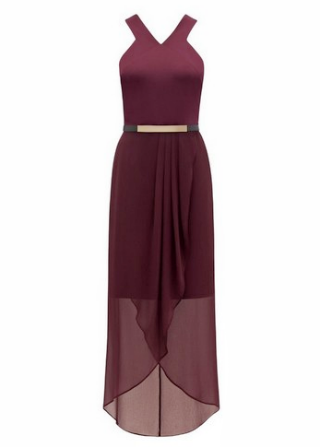 Dress right in this wine-coloured evening dress. Pair it with a gold clutch and sky-high heels and slay him! Price: Rs 5,400. Buy it here. Stock up on floral dresses. 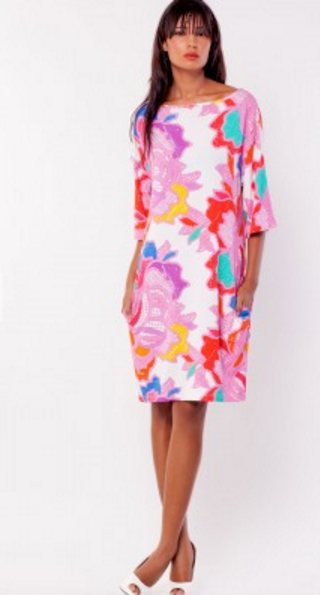 Add a pop of colour by picking out a easy breezy print like this one. It will look amazing in pictures! Price: Rs 2,695. Buy it here. Bodycon dresses are your best pick for club nights and cocktail evenings with your hubby. Team them with stilettos and let your hair fall in waves. We love this lingerie inspired design, and the scalloped neck and hem. You’re sure to make heads turn as you glide through the crowd. Price: Rs 1,600 (approx). Buy it here. 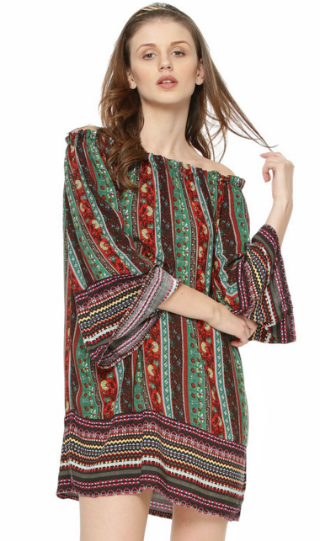 Let out your inner bohemian in this dress which is so light and comfy. The length is just right to show off your tanned legs! Can’t you picture yourself lounging next to the pool, with a cocktail in hand, wearing this glamorous shift and over-sized sunglasses? We love the old school Hollywood panache of this one. Plus, it’ll double up as a beach cover up too! Price: Rs 3,795. Buy it here. MUST-READ: 7 Amazing Swimsuits For Your Honeymoon That’ll Make Him Go WOW! MUST-READ: Honeymoon Lingerie For Every Bride!